It's a Victorian Cheese this time - from up north in the Murray Valley and it's an example of making the most of what you have. 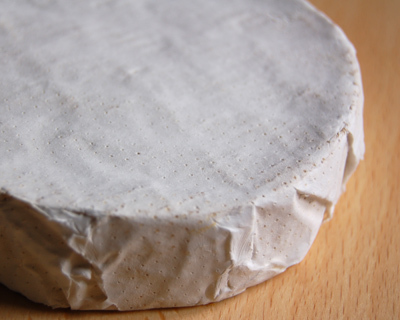 In this case it's diversifying into cheese making, with the help of Locheilan Farmhouse Cheese they produce about 200 rounds of Camembert and Brie a fortnight. As a nod to their district, the label takes it's colour from those of the local football and netball teams. Unwrapped you will find quite a firm white mould - not moist but more soft like velvet. Now, this cheese was cut after being left out at room temperature for a couple of hours. As you can see it's not a soft, runny style. It cuts easily to reveals it's golden centre. 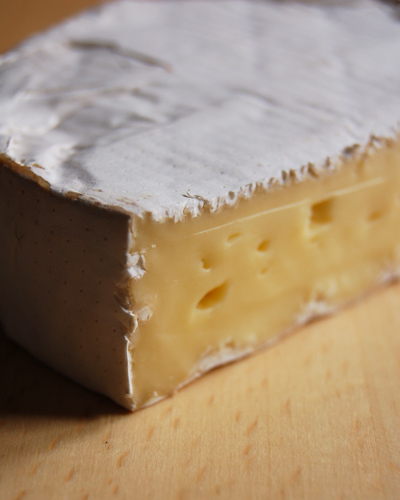 It has those typical characteristics - a good earthiness combined with a creamy texture makes it quite appealing. 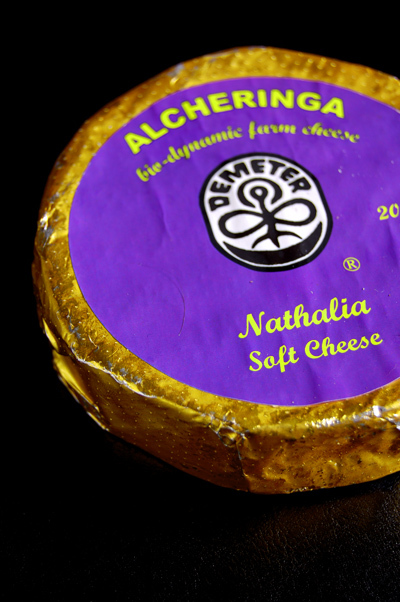 It's quite chewy - the skin a little more intense but all in all, will make a nice change on your cheese platter.